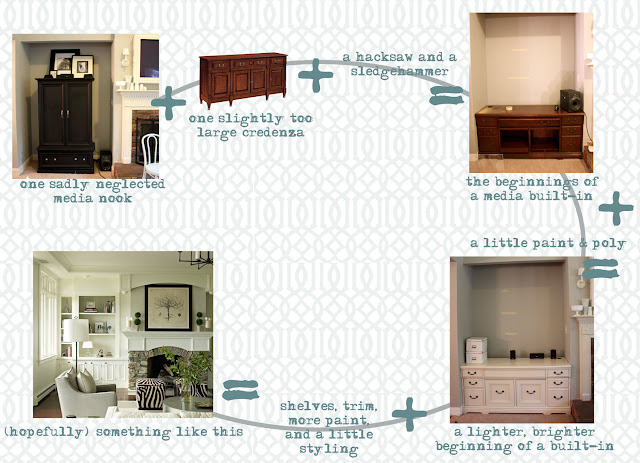 So it all started with a $75 craigslist find, a credenza that just happened to be slightly wider than the niche in our living room. The niche that's been driving me crazy since we moved in. 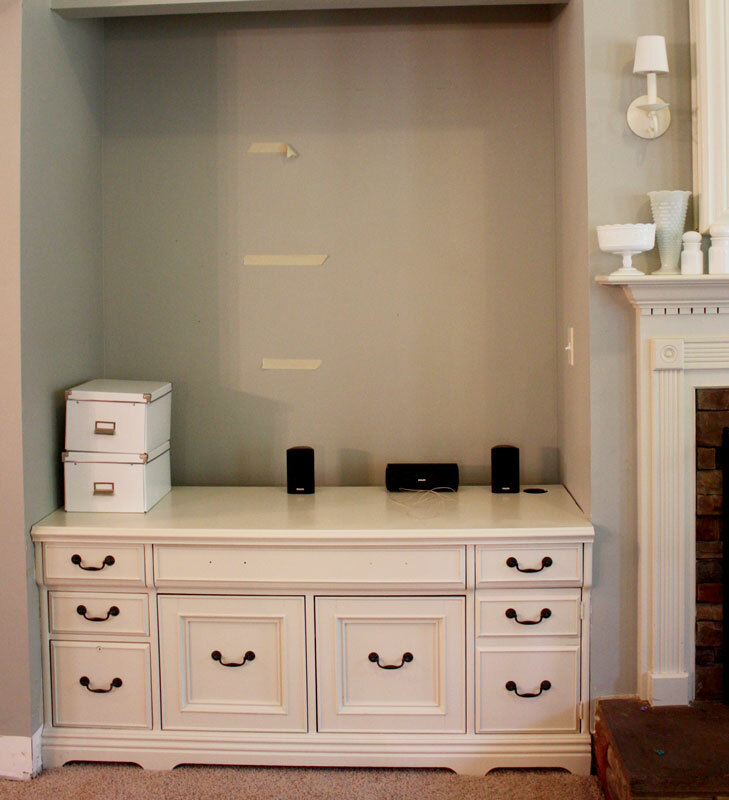 The niche that has been home to our much, much too small armoire and exposed speaker elements for far too long.